Maybe you still remember the muslin shirt for my husband, it has been sitting beside my sewing machine the whole time begging me to do something about it. After Peter published his last post for the Men’s shirt sew-along several days ago, I finally picked up the muslin shirt and continue from that point. 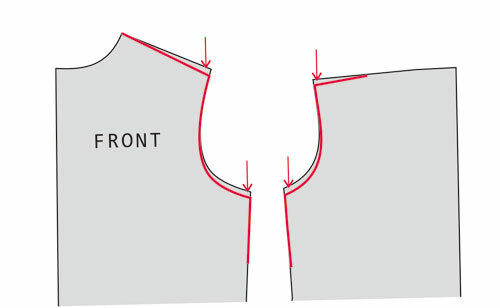 In the first fitting, I thought the crease and folds problem were caused by the neckline being too high. However, Peter suggested here that the problem was that the shoulders need to be lowered. He was right! Addressing FIT: The sloping shoulders at Male Pattern Boldness. 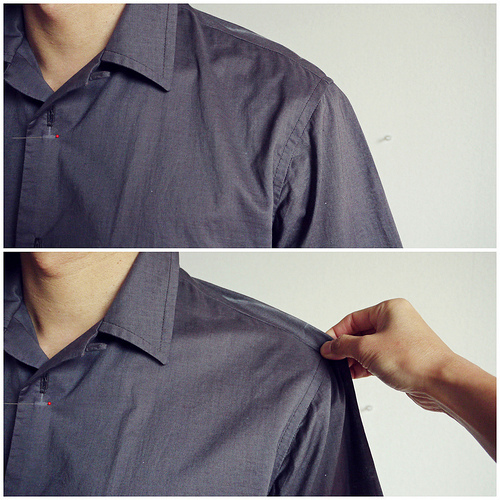 A comprehensive step-by-step pictures of how Peter adjusted his pattern for his sloping shoulders. Determining the excess amount. 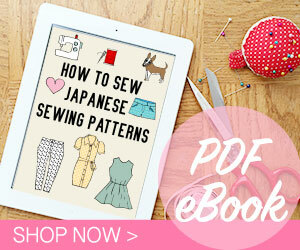 I pinched on the shoulder until the diagonal crease disappeared, keeping it not too tight, then pinned the excess fabric. Then I transferred the pinned amount to the pattern, lowering the shoulders of the front and back pieces. Peter lowered the shoulders only on his back piece because that’s where the diagonal crease on his shirt. Lowering armholes. With the upper part being pinched, the armholes are getting smaller and tighter. To prevent this, the bottom of armholes is lowered in the same amount as what I took from the shoulder. 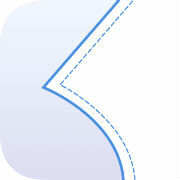 Lowering shoulder -> lowering armholes = keeping armholes in the same length as before. 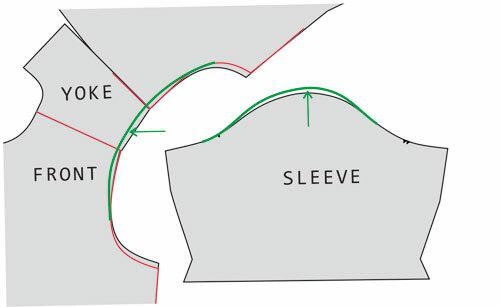 Shortening the shoulder. I placed the front piece, yoke, and back piece together and removed some amount from the shoulder, drawing a new curved line. Then I added an amount to the top of the sleeve and drew a new curved line. 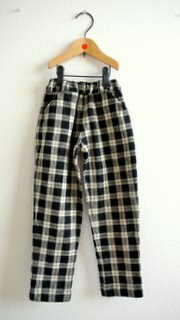 Now that the pattern adjustments have been made, let’s hope that a second, better-fitting, muslin will materialize soon!